Nicodemus proudly acknowledges our 6 NFL players. All have roots in Nicodemus and most are related to each other. 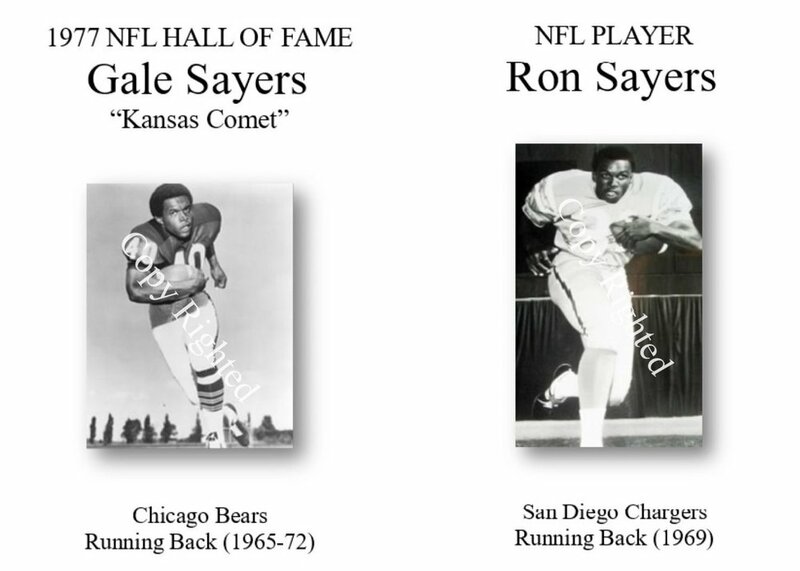 Marvin Switzer is the nephew of Veryl Switzer, and the two brother players are Kevin and Gerald Wilhite and Ron and Gale Sayers. 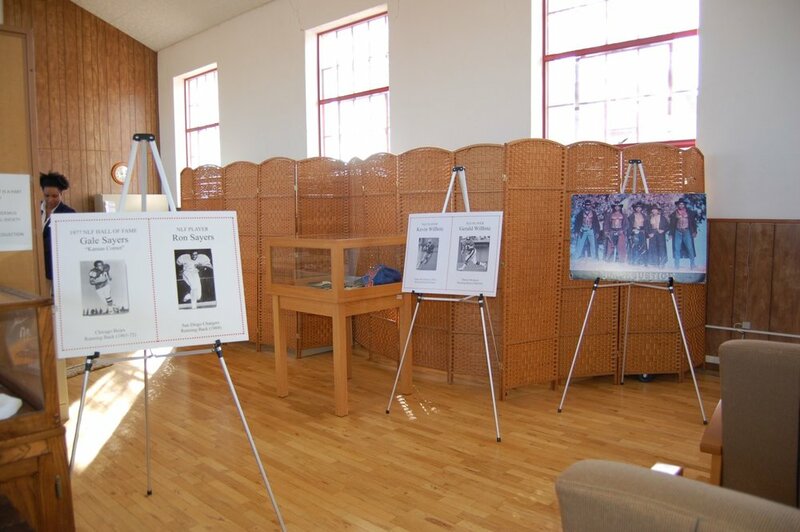 During January 2018 we hosted an exhibit that features their autographed footballs, pictures and other memorabilia. Gerald was skyped in to candidly talk with visitors and share his Super Bowl ring.